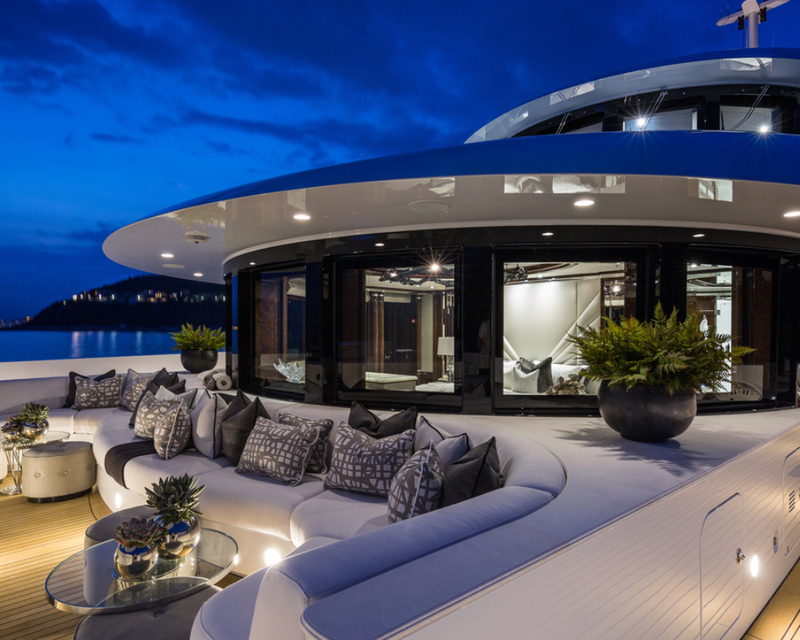 After buying a semi-completed Benetti superyacht project from a Russian businessman, the new British owner realised he had his work cut out to make it his own. Benetti’s 11-11 could well have ended up a completely different superyacht had her Russian commissioning owner not decided to sell-up part way through the project. 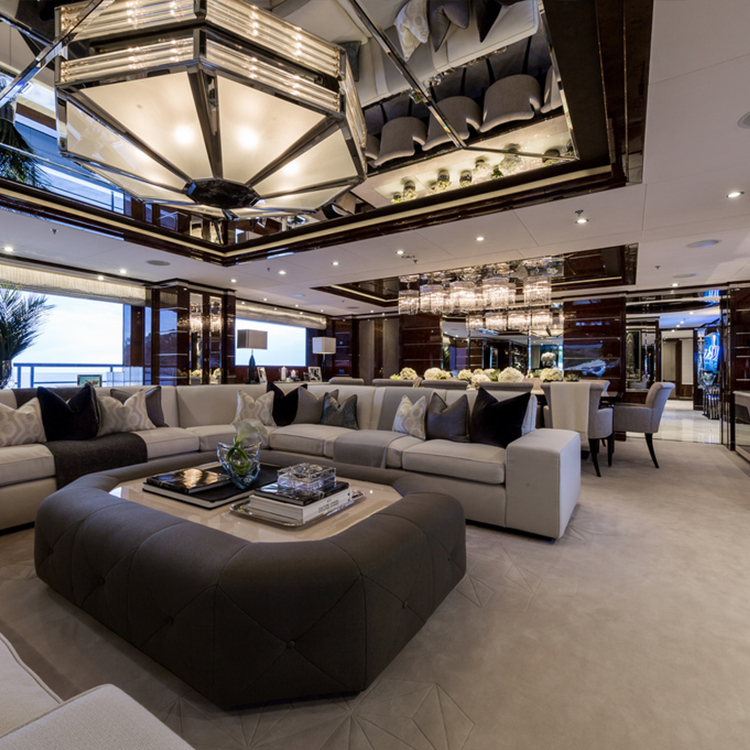 Already in-build at Benetti’s Livorno shipyard, the hull, codenamed AB265, had a garage custom built to take a Rolls-Royce Phantom and interior that had been designed, fitted and finished to the Russian’s unique tastes. Anyone willing to take the reigns of AB265 would need to either share a similar love of Eastern architecture or have the guts (and the money) to rip it all out and start over. 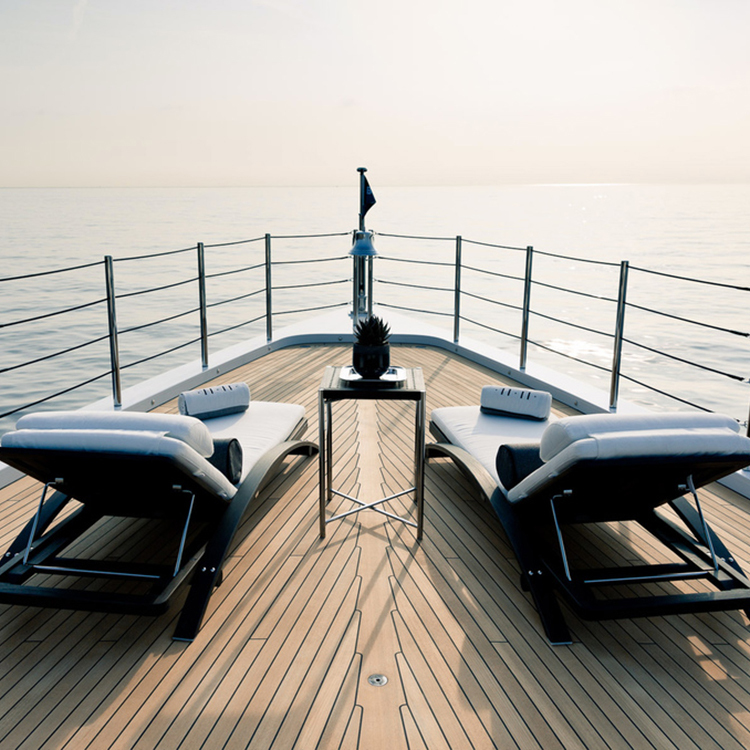 For most would-be owners, re-starting a superyacht project that was over 40% completed would simply be out of the question, both in time and funding. 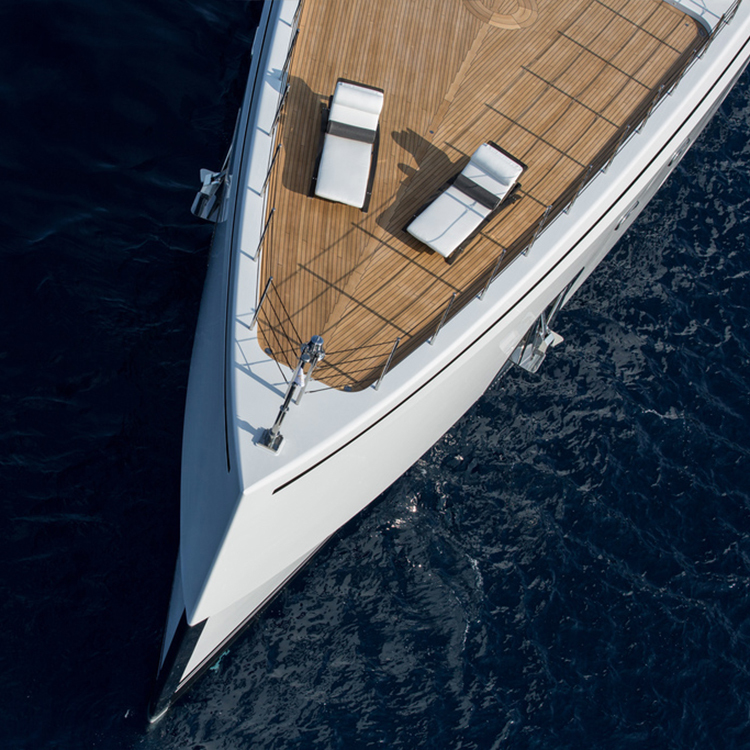 However a British businessman caught wind of AB265’s situation while on holiday in Italy, and having made his billions in luxury property development, thought nothing of taking on the build, and making his new yacht (named 11-11 after his daughter’s birthday) his own. 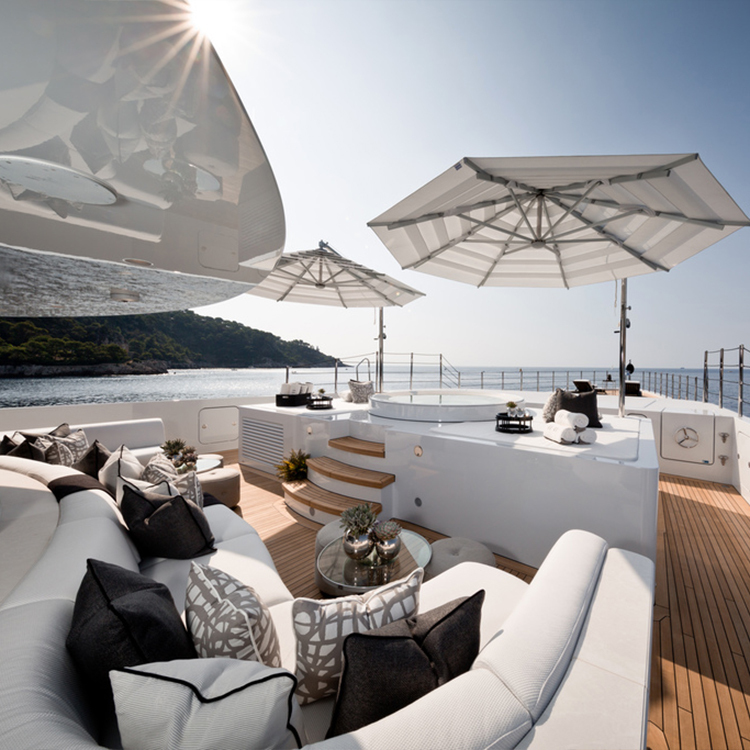 With his own in-house design team working with Benetti, the new owner began the task of personalising 63-meters of plumb-bowed superyacht. 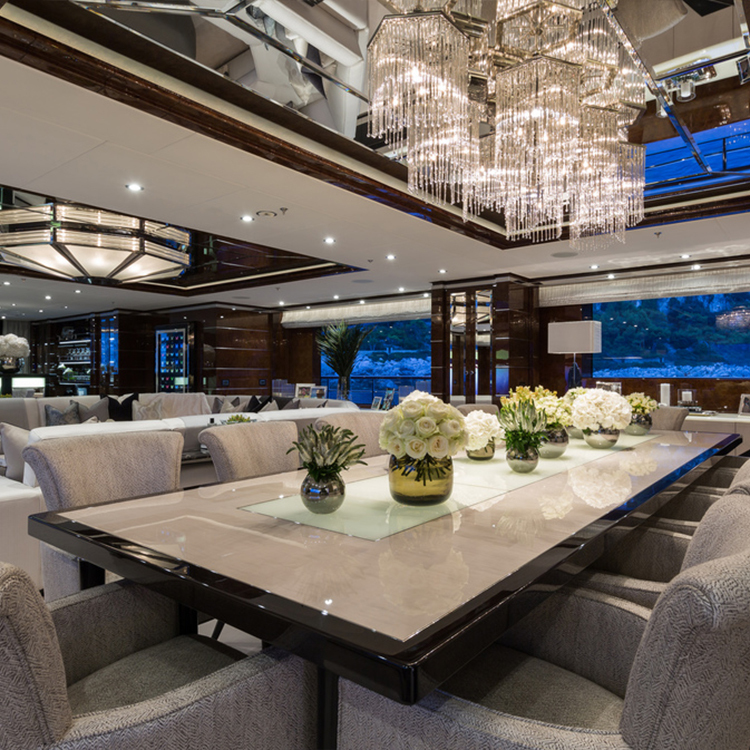 Starting at the aft deck lounge, the first thing to go was the huge crane that was taking up valuable entertaining space. This had been fitted to lift out the Phantom from the garage below and with the big Rolls weighing over 2500kgs, it wasn’t the stealthiest of davits. 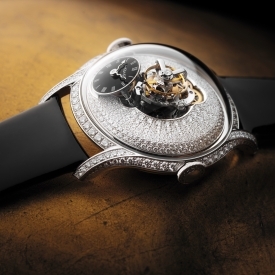 Next to come under the scalpel was the interior décor. 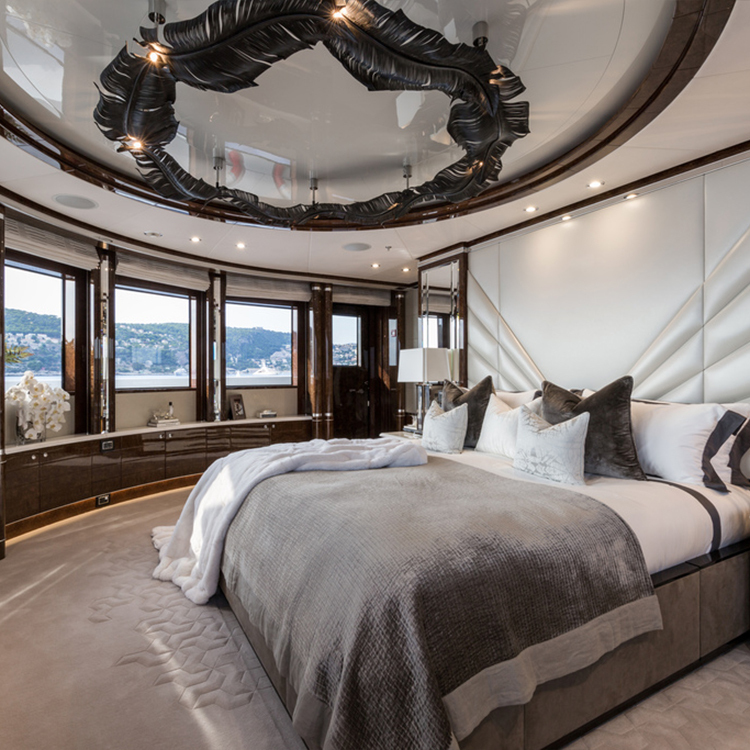 Here the differences in culture resulted in the biggest changes, with the new Owner using the light and dark colourway of his Monaco penthouse as inspiration. It’s here that the design teams saved a lot of headaches by adding stainless steel and mirror inlays to 11-11’s original dark, high gloss walnut joinery. As the project was now very much his own, he added a number of art pieces from the likes of Tracey Emin and Hans Kotter as well as hung photography from Helmut Newton. Interior designers Bill Cleyndert and Madson Black provided the loose furniture, with every chair table and edge rounded-off so as not to cause a ‘bump’ problem for his daughter. 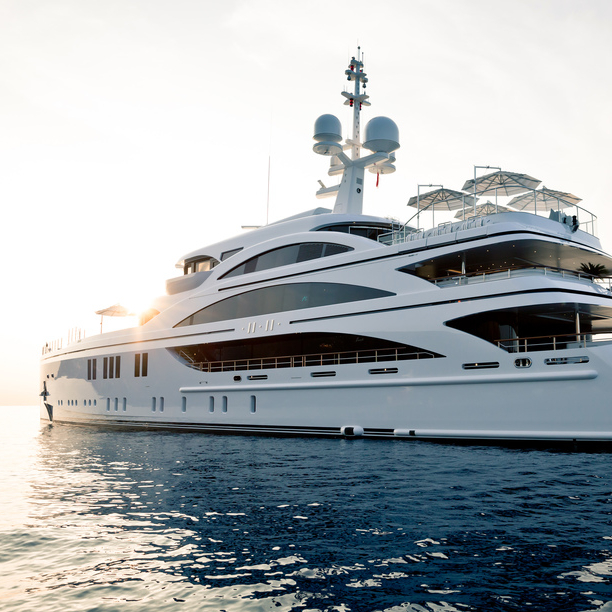 As self made billionaires don’t get there by accident, 11-11 was also built with charter in mind, however to date, the owner has enjoyed his Benetti with his family, joining the captain and crew in the Caribbean, as well as the Mediterranean. It may not have been the most straightforward of builds, but with a pair of experienced design teams, an enthusiastic family and an owner with a clear goal, 11-11 was always going to be a winner.